FREE MAINLAND UK DELIVERY ON THIS ITEM. Easter chocolate pizzas... a perfect alternative Easter gift. Presented in a pizza delivery box, surrounded in tissue paper, it's such a fun gift and totally yummy! There is even enough to share around with friends and family! Please note: Last orders for Easter will be taken on March 25th for Royal Mail delivery. Orders after this time will be despatched but cannot be guaranteed to arrive for Easter. 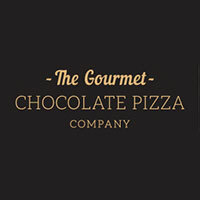 Pizza Toppings: Mini candy coated milk chocolate eggs, Spring coloured rainbow drops & wafer daisies, sprinkled with milk chocolate curls. Our 10" pizza is decorated with 4 handmade Easter Bunnies. Available as a 7” and 10" pizza only. This product is made in an environment that uses nuts & cannot be guaranteed to be trace free.